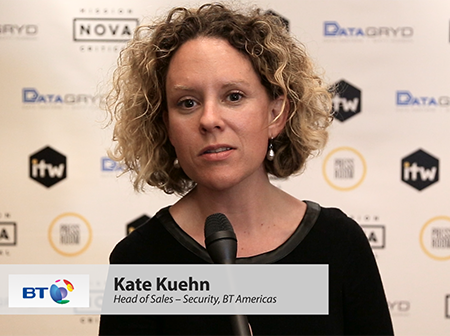 There has been a fundamental shift in the way that companies think about security, says Kate Kuehn, Head of Sales - Security for BT Americas. Security used to be an afterthought for technology deployments. Now, security is the first thing that companies are considering, because it does impact every area of their business.